An amazing family worship experience! Travel through Jesus’ final days in this hands-on adventure. 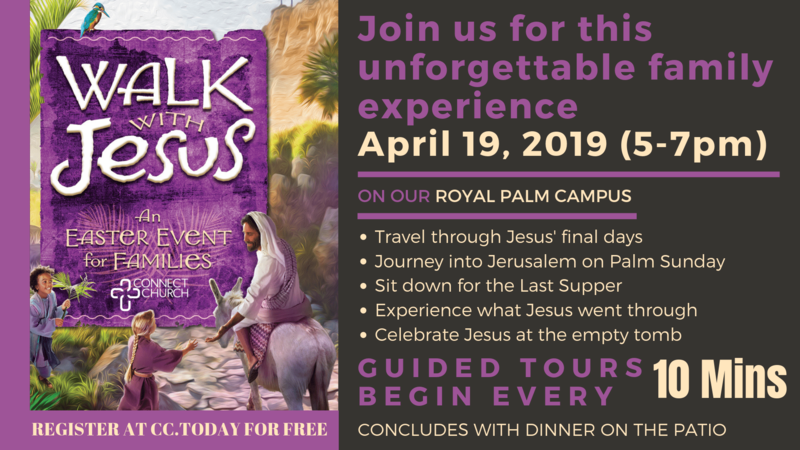 Journey into Jerusalem on Palm Sunday, sit down for the Last Supper, experience what Jesus went through at the garden and on the cross, then celebrate the empty tomb. Guided tours begin every 10 minutes from 5:00pm to 7:00pm and conclude with dinner on the patio. Join us for an unforgettable family experience. THIS EVENT IS SOLD OUT! LOOK FORWARD TO SEEING YOU THERE!